Like a breath of fresh spring air in the middle of the winter, Gov. 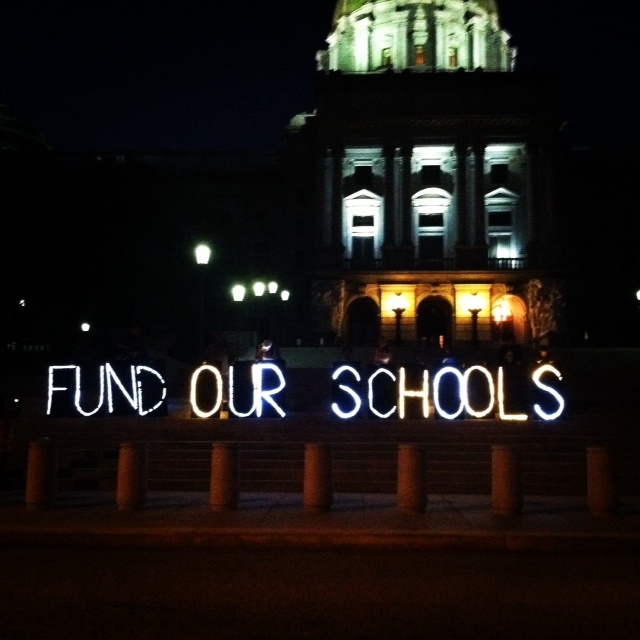 Tom Wolf this week talked about his plan to restore funding to our schools. After touring an elementary school on Wednesday morning, he announced a proposal to impose the 5 percent natural gas extraction tax that he promised during his campaign. He estimated it would raise about $1 billion in the first year and said the “lion’s share” would be dedicated to education – which would put the figure close to what Gov. Corbett cut from our schools. While these words are welcome relief after four years of draconian cuts that continue to harm our kids and schools, Gov. Wolf faces an uphill battle in the legislature. Although the extraction tax is modeled on neighboring West Virginia’s – and every other mineral rich state in the nation taxes these resources – the Marcellus Shale industry has been crying foul and lining up its many supporters in Harrisburg. Before Gov. Wolf announces his proposed budget on March 3rd, it’s crucial that our legislators hear from us. Fortunately, our colleagues at OnePittsburgh are making that easy: please GET ON THE BUS to Harrisburg to rally for a fair budget and get the money back for our schools. Pittsburgh will send at least three buses to join the hundreds of others converging on the Capitol on Thursday, Feb. 26th. It’s fun and all the details are taken care of: you just have to GET ON THE BUS. Click here to register. We know these bus trips matter and that they work. As we’ve discovered walking the halls of the capitol building, our legislators hear from a steady stream of paid lobbyists (some of whom had the brass to mock out loud a bunch of us moms and kids when we were there back in June). We won a major battle getting Gov. Wolf into office, but if we want the money back for our schools, we still need to win over our legislators. Someone’s gotta go to Harrisburg – can you? Is it any surprise that Governor Tom Corbett is woefully trailing his opponent, Tom Wolf, in the polls? The latest numbers released last week show Tom W. ahead of Tom C., 49% to 31%. With 60% of registered voters saying that Pennsylvania is “off on the wrong track,” survey respondents continue to name education as their number one concern. [Franklin & Marshall poll, Sept. 2014] In fact, education is now far ahead of “the economy,” which has traditionally been voters’ primary concern (going back to at least 2006 in these polls). 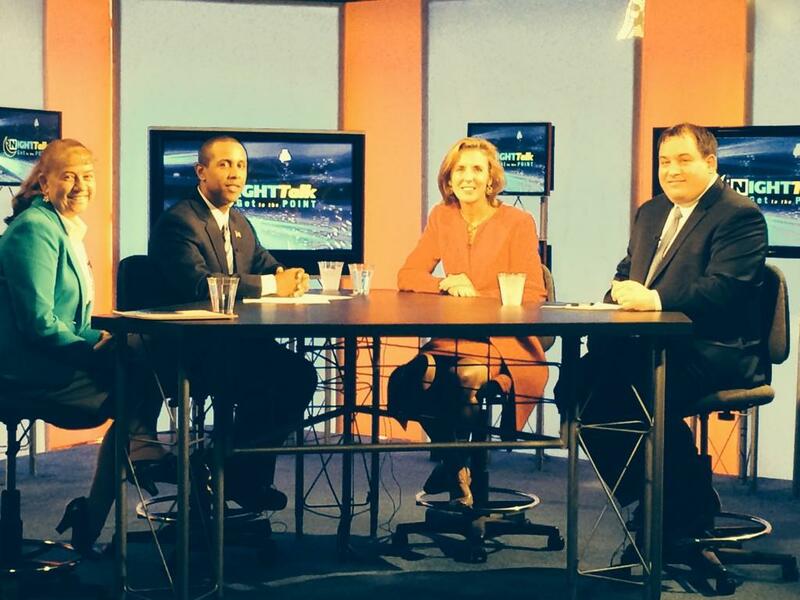 In fact, I said this very thing last week when I appeared on “Get to the Point,” a PCNC Friday night talk show. I had the chance to sit across from Bob Bozzuto, the Executive Director of the Republican Party in Pennsylvania, and Katie McGinty, former Democratic gubernatorial candidate and now chair of the Fresh Start PA campaign supporting Tom Wolf. And for an hour, I did my best to steer the conversation back to education, education, education. Yesterday, we took this message directly to Gov. Corbett himself. Or at least we tried. The governor was in Pittsburgh for a rare visit, but not to meet with educators or students or parents. Rather, he was in town to meet with Marcellus shale corporate executives. Yes indeed. He reserves his elbow rubbing for the people who line his campaign coffers with huge donations to make sure he doesn’t tax their industry (which would help pay for our public schools). [Post-Gazette, 9-25-14] OnePittsburgh rolled out the “People’s Red Carpet” welcome outside the convention center to demonstrate who he is walking over. Just to further prove how out of touch this governor is with Pennsylvania families, on Monday at his first debate with Tom Wolf, Gov. 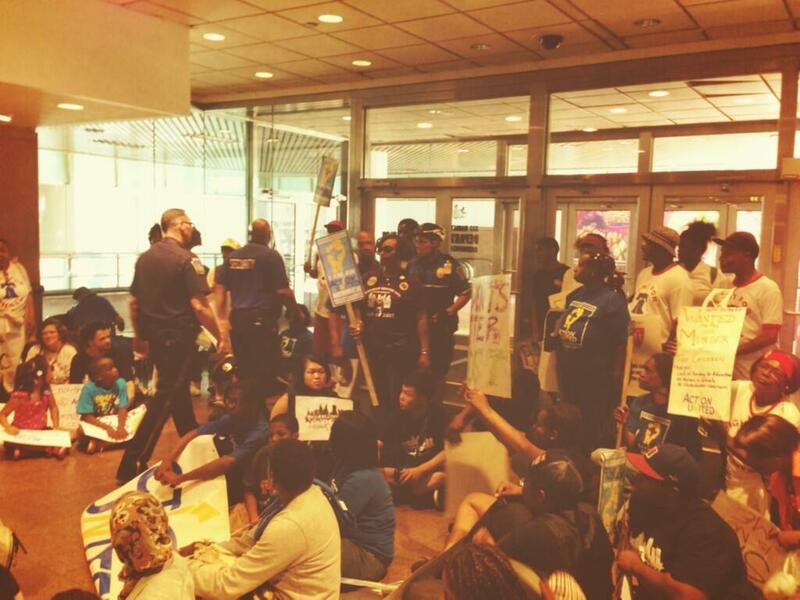 Corbett said that nurses, social workers, librarians, guidance counselors, and paraprofessionals don’t count. He was referring to the 27,000 educators who have lost their jobs since his historic budget cuts in 2011. Specifically, Gov. Corbett stated: “That’s a false number. Those aren’t all teachers. Those are people that worked in the system, that were part of the administrations. They weren’t all teachers.” [CSPAN archive] These were 27,000 adults our children had in their lives every day, working with them in their classrooms, helping them succeed in school, and we’re not supposed to count them as lost educators? Election day is November 4th and it can’t come soon enough. 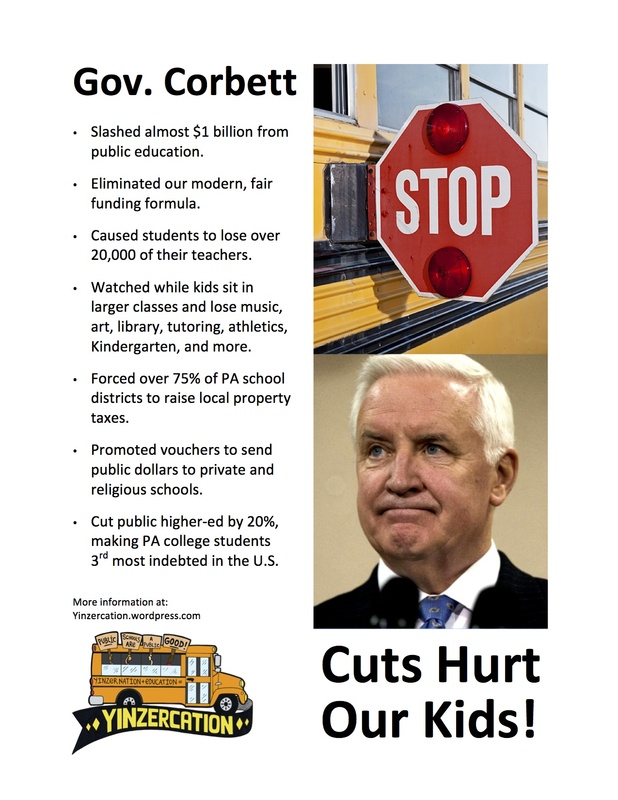 Between now and then, Pittsburgh’s own folk legend, Anne Feeney, will be traveling around Pennsylvania with her “Crush Corbett Road Show.” Anne asked Yinzercation to create a flyer with information about the governor’s record on education, which she will be distributing on her concert tour. In closing, I leave you here with a copy, as the facts speak for themselves. When I left for Alaska ten days ago, parents, teachers, and community members from across the state were still camped out at the Capitol building keeping a vigil for a better budget. The group from Pittsburgh included many ActionUnited volunteers, who worked around the clock. Volunteers keeping vigil at night with glow-in-the-dark signs! Having just returned to the lower-48, I fully expected to see news of a final state budget. Oh, but no. In case you haven’t been paying attention, or have been off-line in the wilderness like me, here’s the current situation. The budget sitting on the Governor’s desk also includes a slight increase in education funding through block grant programs. These generally come with strings attached and are less helpful to districts that are desperately struggling to provide basic educational programs. The increase is also $141 million less than what Gov. Corbett initially proposed back in February. This kind of magical thinking is a recipe for disaster. Overall, Pennsylvania collected less in revenue in 2013-14 than it did the year before. Yet the new budget for 2014-15 counts on adding $1 billion more than we managed to take in this past year. [PA Budget and Policy Center, 7-7-14] Where are we really going to get this money? Having just returned from mineral-rich Alaska, it’s astonishing to me that Gov. Corbett will not even consider a severance tax on Marcellus shale. Every other major gas producing state has one. Our local guide in Juneau proudly pointed to the Alaska Permanent Fund building and explained that every person in that state gets an annual check, usually between $1,000-$2,000, drawn from oil revenues. Alaska was gorgeous. But I would like to be able to stay here in Pennsylvania and send my children to properly funded schools. We may not have glaciers, but we do have eagles again, right here in Pittsburgh. Now if only we could fund public education. Guest post by Kathy Newman. We all know sitting is bad for us, right? 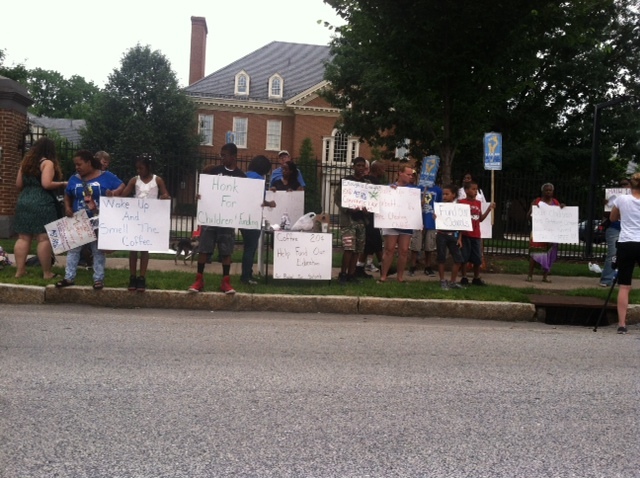 But right now there is a group of Philadelphia parents, teachers and students sitting-in at Tom Corbett’s Harrisburg office, demanding that the Governor and the State Legislature pass a decent budget for education this month. 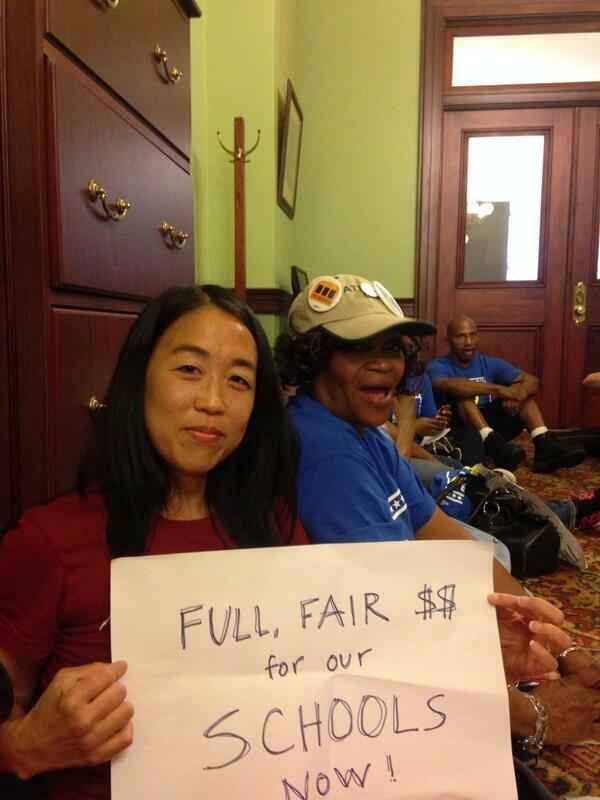 Our Philadelphia colleagues are in Harrisburg sitting in the Governor’s office! They’re not going anywhere until he gets the message. People power at the Capitol! You might not be able to get to Harrisburg to join the sit-in, but there is something you can do. And you can do it sitting down. Five-to-ten minutes of phone calling and emailing on Monday, June 30th, from the comfort of your favorite chair, will make a real difference in this year’s budget negotiation. It’s hard to believe that a few simple phone calls can make a difference. But our friends at Education Voters say that when lawmakers hear from parents across the state about education they do a better job of putting education first when they are finalizing their budget deals. The truth is that some of our more sympathetic Democratic lawmakers will have more power than usual in this budget cycle, and a call from you (and you and you and you and you) will remind them that, for many of us in the state, education is a critical issue. What’s at stake right now? This week the PA House passed a budget that eliminates the $241 million increase in state funding for proposed Ready to Learn Block grants and replace this with a paltry $70 million increase in Basic Education Funding. Under the House budget, PA school districts would lose about 70% of the increases in state funding they were expecting to receive this year and that they were relying on to balance their budgets. That’s a loss of over $2 million for Pittsburgh Public Schools alone. The House budget is irresponsible and unacceptable. It does not call for a shale tax or a cigarette tax. Instead, it relies on the sale of state liquor stores (which the Senate has so far not supported), gimmicky sources of one-time funding, and the suspension of selected tax credits to balance the budget. Though it’s the end of the month, and the budget was supposed to be locked up by now, budget negotiations are just beginning. While the budget is still fluid and negotiations are taking place, advocates must speak out loudly and with one voice in support of responsible funding for public schools this year. If we do not speak up now, public education will likely receive little more than scraps in the budget this year. As with previous Call to Action for Education days, we are asking for broad participation from all organizations and individuals across the Commonwealth. It is incredibly important the legislators in Harrisburg see that people are paying attention. Communities are using these call-in-days to help spread the word about what is happening to our schools, so please join us again! 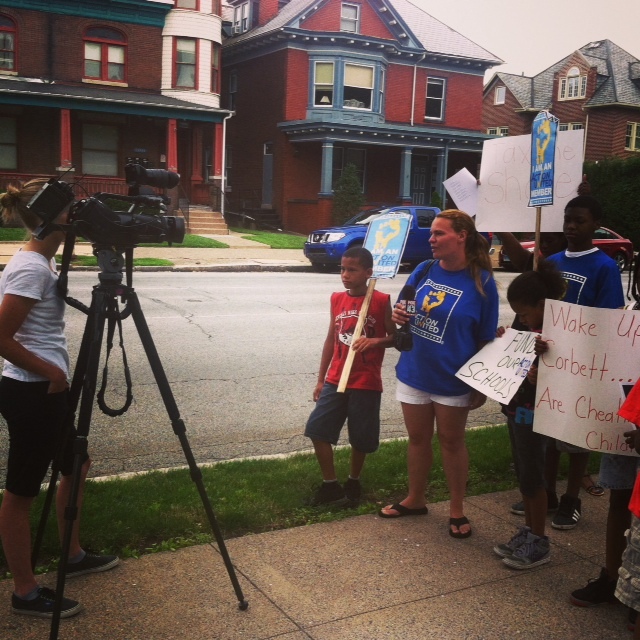 WHAT: Call to Action for Public Education – It’s time for a fair budget for PA’s students! Mark your calendar today for Monday, June 30th – and do 3 things in 10 minutes to make a difference! Click here for your legislators’ phone numbers. Click here for tips on how to make a good phone call. Call Gov. Corbett’s office at (717) 787-2500. Support the adoption of a shale tax, cigarette tax and any reasonable measure to raise revenue and close tax loopholes. Support an increase in the Basic Education Funding line that is equal to what was in the proposed Ready to Learn Block Grant. Support and advocate for state funding for charter school reimbursement to be restored. When you are done with your call would you mind heading over to the Yinzercation facebook page and reporting on your calls? If you tweet, you can also promote the day using #educationpa and #pabudget. 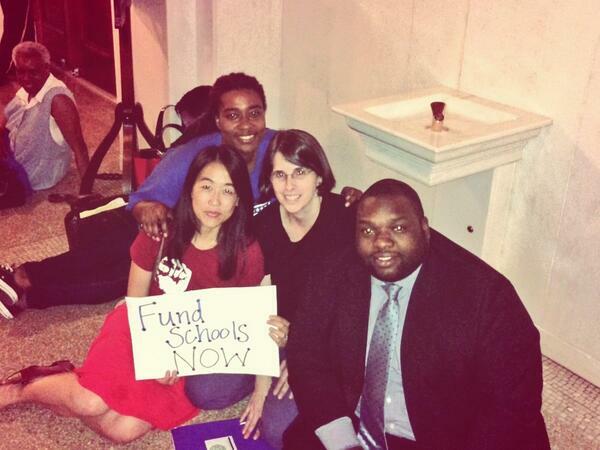 Thanks to everyone who is sitting and calling in for fair education funding!